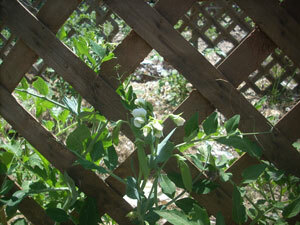 Homestead cottage gardening and the beauty it provides has an important place in your homestead. Sometimes we get so caught up in the practical things, we forget that we need beauty in our lives as well. A beautiful garden provides serenity to our souls. Nothing brightens your day better than walking in a beautiful garden. Yes, we should focus on self reliance, but we should also enjoy the journey along the way. That's where cottage gardening, or more specifically, homestead cottage gardening comes in. The term "cottage garden" originated in England and was a way for the working class - who typically lived in cottages - to have access to fresh fruits, vegetables and meat. It was old-fashioned self-reliance the English way. 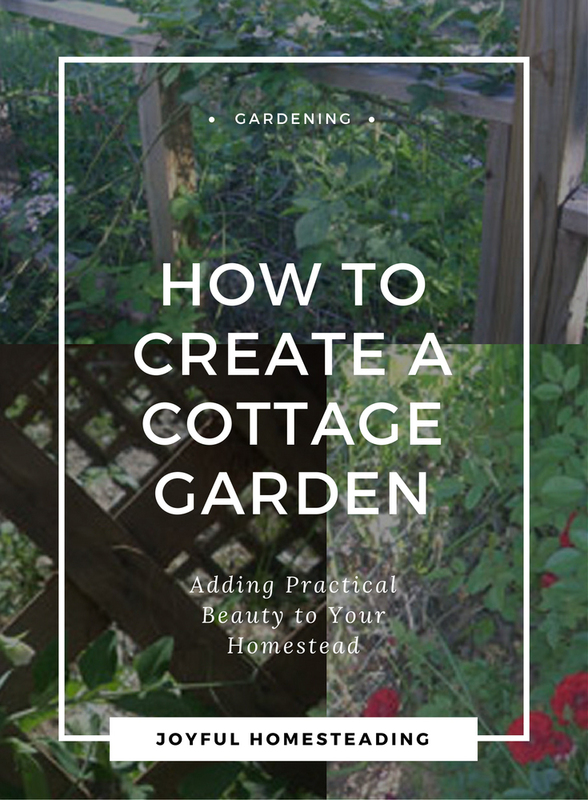 Because they typically did not have much in the way of acreage, cottage gardeners would take advantage of every square foot and plant as many things as possible. They would use hardy plants that were native to the area and easy to grow. The design would be informal and they would use whatever materials they had on hand, much like we would in homestead cottage gardening today. In a peasant's cottage garden there would likely be chickens and herbs grown for their medicinal use. Those in the middle class would have a few more luxuries, such as a family cow, some pigs, a beehive and flowers. Then during the late nineteenth century many of the English, in reaction to the formal estate gardens, reinvented the cottage gardens, mixing both ornamental and edible plants, and eventually leaning more toward flowers. The result was grace and charm in addition to functionality. We, who are pursuing self reliance today, want a mixture of all three. We obviously want to grow the practical things, such as vegetables and fruits as well as the medicinal plants in our garden. 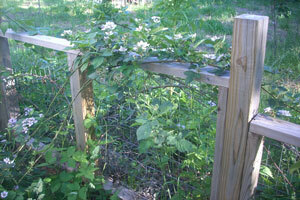 By keeping a beehive on our property, our gardens become much more productive. If we keep a few pigs, goats or even a cow on our land, their manure goes into the compost garden. The following spring we have a far more productive garden. And finally, flowers add beauty to our landscape, but best of all, those flowers can be a practical part of our gardening as well. Violas add a sweet, delicate beauty, roses provide fragrance and charm, and marigolds bring sturdy, cheerful color to your homestead. The petals from calendula flowers can be made into a useful ointment. But even better, these are all examples of edible flowers that you can add to your salad and even use to make jam. 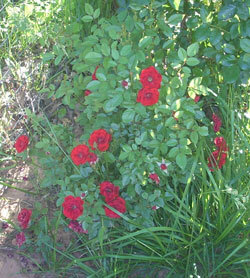 When it comes to homestead cottage gardening, more is always better, so grow your flowers in abundance. They want to look heaped together and seem to sprawl out of the beds. You can plant the traditional flowers, such as hollyhocks and hydrangeas, but why not also add flowers that are useful, such as the coneflower (echinacea), roses (for their rose hips and jam), and catmint? In addition, plant sage - it has a beautiful flower - along with violets, which are edible, and bee balm, which attracts bees. That way, you'll have a beautiful and practical garden that will delight the senses and help you live self sufficiently.